Distract Her- Realizing these last days of pregnancy are grueling for a lot of women, offer to do activities with her to keep her distracted. Going out for pedicures, catching a movie together, going out for dinner, and walking the mall are a few examples of things that you can do together to help distract the expecting woman during those last days waiting for the baby. 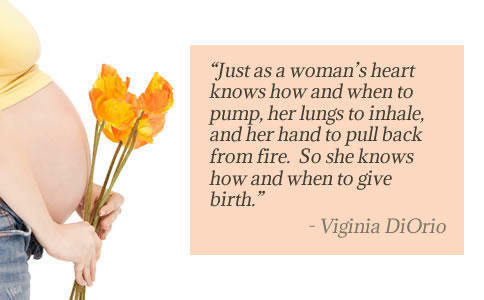 Help Her- Some of the hardest days to get things done can be the end of pregnancy. Most women go into nesting mode and want things organized, floors scrubbed, house cleaned. Ask her if there are any tasks that she would like help with before the baby comes.